In 1990 the Museum of Modern Art held the exhibition “High and Low: Modern Art and Popular Culture,” which showed how modernist artists have incorporated elements of low culture into their work. Newspapers, advertising, comic books and graffiti were presented as raw material for the hermetic experiments of the avant-garde; in each instance, the “low” was transformed into a high form, its crude energy cultivated into a new aesthetic value. Graphic designers have engaged in their own transformations of low into high with their recent fascination with the so-called “vernacular”. Echoing the pattern set forth at MoMA, many appropriations of ordinary commercial artefacts have worked from the top down, with designers viewing the “vernacular” as something to be studied and adapted with detachment. Yet the question of high and low can also be viewed from the bottom up – from the worm’s-eye view on the inside rather than from the bird’s-eye view of the distanced. In order to take a renewed critical view of contemporary life, designers too must find a place to speak from within culture, not position themselves above it. The relationship between high and low is not a question of content but of structure. High and low is a pattern, a conceptual shell: what is high in one setting is low in another; in the space of a decade, a style can move from current chic to date convention to camp nostalgia to neo-conservative revival. And the term “vernacular” is also relative: it places a standard language against a lesser dialect, a dominant culture against a secondary subculture. The current attraction to vernacular styles is fuelled by a search for the spontaneous voices of a romanticised past (the roaring 1920s, the flamboyant 1950s) or for the noble savagery of a visual underclass (hand-made signage, ethnic food packaging). But nostalgia is a falsification of history, not a return to it; it treats the past not as the roots of the present, but as a distant entity. Appropriations of contemporary vernaculars project a barrier between a sophisticated “us” and a naïve “them”. And as with nostalgia, such borrowings relegate the vernacular to a place safely removed from the aesthetic world of the designer. The belief in a distance between design and everyday life was one of the founding principles of modernism, which proposed a divide between consumer culture and a critical avant-garde. Thus William Morris designed objects that stood against the machine ethic of the day, fostering a sense of distance between a philosophical minority and a majority governed by the appetites of the marketplace. Morris initiated the modernist ideal of the designer as a critic, a figure who stands aside from the mainstream and presents alternative visions, not simply an obedient extension of marketing, but someone who aspires to go beyond what people already want and to teach them to want something better. The designer is a cultural expert handing down master plans for reform to the masses. As modernism became an academic creed in the 1950s and 1960s, museum and universities became critics of the junk products and street graphics of everyday culture. This paternalistic view was attacked by the Pop movements of London, New York and Milan; for American designers, the post-modern rebellion was canonised in Learning from Las Vegas in 1972, which rejected high-minded reformism in favour of embracing the existing landscape of capital. Yet the distance stance of the critic returns in the voice of Robert Venturi, Denise Scott Brown and Steven Izenour, and Learning from Las Vegas, too, views its subject like an ethnographic specimen: an innocent sample of popular life to be studied by the knowing specialists of high culture. Parallel to this Pop urbanism was the eclectic style of the Push Pin Studio, which recombined elements of avant-garde art, historic ornament and popular media. The Push Pin artists chose America’s permissive marketing ethos over the constraints of European modernism and treated modernism itself as a kind of vernacular, one dialect among many rather than a standard grammar. For example, Milton Glaser transforms his sources – from comic books to Constructivism – into his own signature style, sifting his borrowed material through the filter of a personal “touch”. A similar alchemy of the ordinary appears in the post-Push Pin eclecticism of Charles Anderson, who has tapped the vernacular – along with other graphic languages – as a source of familiar codes, ready to be updated into old-yet-new styles. Anderson’s appropriation of “naive” commercial art from the 1940s and 1950s capitalises on the nostalgia epidemic which gripped middle-class America in the 1980s and has yet to loosen its hold. Anderson describes the commercial art of 30 years ago with phrases like “naive, simple, in your face, not intellectual, not slick, bonehead”. Beneath his admiration, however, is a sense of condescending distance from the culture he quotes. M&Co championed the vernacular in the 1980s as a source of clean, honest inspiration, a cold, invigorating shower to cleanse he conscience of style-happy and client-rich designers. Alexander Isley, Marlene McCarty, Emily Oberman and other designers employed at M&Co converted the everyday lingo of quick-print wedding typography, felt-board lobby signage and phone-book iconography into a new urban chic. M&Co’s ironic use of over-the-counter graphics suggests a self-effacing modesty – the absence of art, the erasure of ego, the disappearance of the designer. Yet while creative director Tibor Kalman publicly promotes non-design as an instrument of salvation from the moral sins of our profession, he has built his career on the mystique of the designer-as-witch-doctor, the impresario of taste capable of turning lead into gold, and low into high. Working out of the same New York milieu, Stephen Doyle of Drenttel Partners also claims mundane commercial sources for his signature style of mixed fonts, graduated type sizes and literary interventions. In many of Doyle’s appropriations, however, the low source is transformed beyond recognition, providing a hidden energy for the chaotic classicism of his pages. As Doyle explains, he has adopted tabloid typography for “civilised use” – he is interested in the ideas, not the look, of such crude artefacts as World Weekly News. An act of transformation is performed by each of these quotations of the everyday. From the Pop make-overs of Milton Glaser, to the sweetened-up nostalgia of Charles Anderson, to the class-conscious incorporations of Drenttel Doyle Partners, the low redeems itself by turning into something better, by offering a source of energy to the higher life form which feeds upon it. A comparable transformation was the subject of MoMA’s “High and Low” exhibition, which reiterated the transformation from the public to the private, external culture to the internal artefact, the low to the high. The MoMA exhibition treated newspapers, packaging, advertisement and comic books as modern-day equivalents to the landscapes, bowls of fruit and naked women which have traditionally offered subject matter to secular artists. Many critics of modern culture have argued that mass media and mass production altered the entire conduct of both public and private life, and thus they cannot be treated as merely an innocent source of subject matter, imagery or style. From Walter Benjamin in the 1930s to writers from the new field of “cultural studies”, critics have asserted that mass culture has changed the very structure of art, both high and low. We cannot simply draw a line between the inside and the outside of culture, or between public and private experiences of mass media, or between low and high forms of expression. The line must also be drawn across them, through them: linking the two sides of the divide as well as separating them, cancelling the opposition as well as defining it. It is, in fact, on this contradictory break between the low and the high – at once there and not there, dividing and connecting – that modern was founded. The vanguard opposition to middle class society, the search for a place above and beyond the mainstream, the need magically to transform the ordinary into something new are all features of the modernist vision. The desire to find a space outside of culture was inspired by the very omnipresence of product and media, a socialising force from which no one is exempt. Many contemporary uses of so-called “vernacular” styles assume a distance between the civilised designer and the raw material to be transformed; other work acknowledges the position of the designer as a spectator of his or her own world, rather than a connoisseur of a nostalgic past, an exotic “other”, or a visual underclass. For example, a common strategy among urban subcultures is to remake national trademarks into emblems for alternative ideas. Appropriations like these are made not from above mass culture but from within it: a view from the street rather than from a laboratory. Such designs represent vernacular images not as examples of a naive and innocent dialect, but as the visible traces of corporate power. By rewriting the hieroglyphic speech of everyday products, these subcultural groups are making a new language of the ordinary that borrows from the dominant corporate monologue. 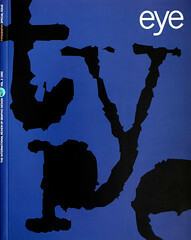 A critical refashioning of a vernacular language is the information graphics of Spy magazine, initiated by Drenttel Doyle Partners in 1986 and crafted by Alexander Isley into a ruthlessly funny yet rigorously archival typographic language. The vernacular model for the charts, maps, and diagrams of Spy is the authoritative lingo of newspapers and science textbooks. Spy’s infographics – now widely imitated across the American magazine industry – parody of the typographic style with which objectivity, facts and information are presented. They appropriate a vernacular belonging not to a visual underclass, but to the vocabulary of knowledge itself. Because designers are taught to focus on visual style over social function, we often overlook the relation of design to institution of power. The tendency to see styles as working in a free space encourages a romantic view of the “commercial vernacular” as an innocent “other”, rather than as a major player in the politics of everyday life. The heroic aspect of the avant-garde lay in its vision of design as a librating force. The crisis of modernism lies in the contradictory desire to occupy a place outside of society, while at the same time transforming it; its critical stance must now be relocated as an analysis from within culture, rather than a critique from above.